So . . . what do you want to be when you grow up? Find out what you really want to know about your career choices: Will I wear Prada or Old Navy? Play with kids on the playground, or with bigwigs in the boardroom? Power lunch at the Ivy, or bag lunch at my desk? What kind of education do I need? This book is packed full of answers. “Day in the life” profiles will inspire you, while a ton of sidebars, lists, and helpful tips will get you started right away on finding the career that’s right for you. Discover words of wisdom from women in the workforce, including Shonda Rhimes, creator and executive producer of Grey’s Anatomy and Scandal, who thinks her job is like running a small country; Susan Schulz, magazine editor in chief, who compares her life to both a chess game and the prom; and U.S. Senator Barbara Boxer, who says that if you’re passionate about an issue, you can turn it into a career. 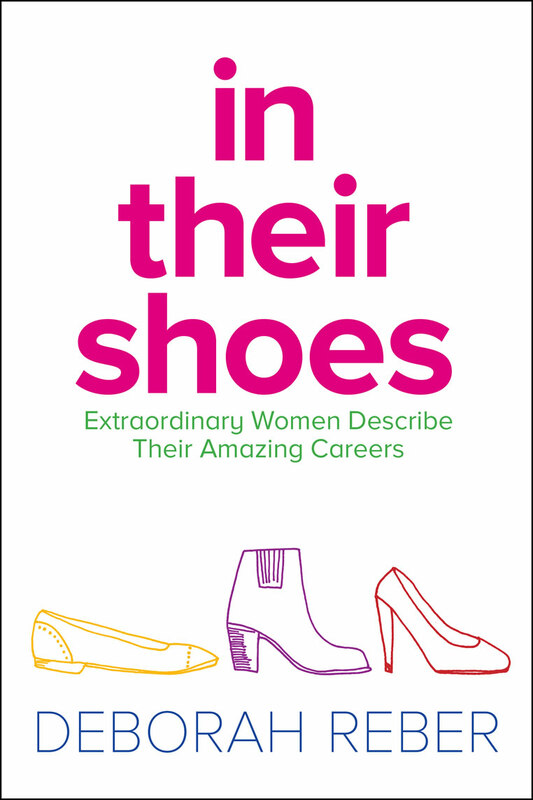 Packed with informative and inspirational advice from women at every stage of their careers, In Their Shoes is a must-have reference for every aspiring working girl! Ready to take your career exploration to the next level? This downloadable companion to In Their Shoes includes all the quizzes and exercises from the original book and features additional prompts to help you explore what kind of careers just might be the perfect fit for you. Grab this fun mini-poster that will motivate you to rock your career, featuring tips from the inspiring women of In Their Shoes. Download your career tips e-book featuring career advice for jobs like screenwriter, TV show creator, veterinarian, senator, photographer, and more. Also available as a SlideShare. Take the words of wisdom from extraordinary career women to heart with a coolly-designed mini-poster to hang in your room. Features tips from Olympic athlete Holly McPeak, screenwriter Susannah Grant, magazine editor Susan Schulz, and more! Sign up to download the free In Their Shoes resources!